• Mount a rain gauge on a post near the garden to keep track of precipitation so you can tell when to water. Most gardens need about 1” of rain per week between April and September. • Plants started indoors should be hardened-off outdoors in cold frames or a protected area before being transplanted into the garden. • Finish sowing seeds of all cool-season vegetables not yet planted outdoors and transplant broccoli, Brussels sprouts, cabbage and cauliflower plants into the garden. You can still plant seed potatoes, onion sets and onion plants at this time. 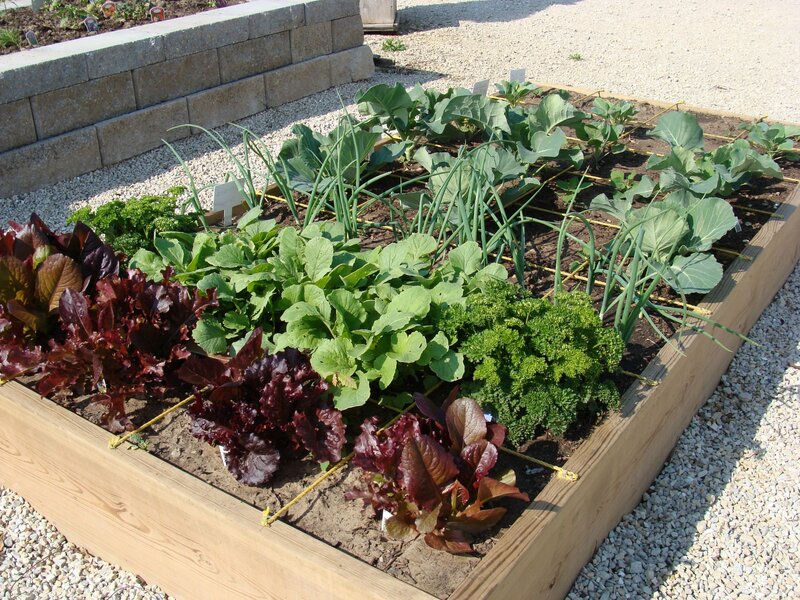 • Plastic films can be used to pre-heat the soil where warm season vegetables are to be grown. • Start cucumber, cantaloupe, summer squash, watermelons, luffa, and hardshell gourds indoors in peat pots this month. • The last week of April is a good time to try an early sowing of warm season crops such as green beans, sweet corn, and spinach. Transplants of tomatoes, eggplants, peppers and sweet potatoes can also begin being planted outdoors. • Thin out crowded seedlings from early plantings of cool season crops such as beets, carrots, lettuce, onions and radish. • Flower stalks should be removed from rhubarb plants, if they develop. • Winter mulches should be removed from roses, and dead and diseased canes should be pruned out. Cut back remaining canes to green wood. (Severe pruning results in nicer long stemmed flowers and more compact bushes. • Fertilize established roses once new growth is 2” long. Begin spraying fungicide to control black spot disease. • Summer and fall blooming perennials should be divided in the spring. • Hang out hummingbird feeders the 1st of April. You can make nectar at a ratio of 4 parts water to 1 part sugar. • Easter lily plants past blooming can be planted outdoors. Set the bulbs 2-3” deeper than they grew in the pot. Mulch well in case frost occurs. • Weed & Feed may be applied after mid-April. • Groundcovers can be mowed to remove winter burn and tidy up plants. Raise mowers to their highest settings or use a weed eater or hedging sheers. Fertilize and water to encourage rapid regrowth. • Protect bees and other pollinating insects. Do not spray insecticides on fruit trees that are in bloom. • Leaf rollers are active on apple trees. Control with permethrin or malathion. • Stink bugs and tarnished plant bugs become active on peaches. Control with carbaryl, permethrin, or malathion. • Spider mites and codling moths will become active on apples at the end of April. Control with carbaryl, permethrin, malathion, or kelthane. • Examine shrubs for winter injury. Prune all dead and weakened wood. Do not prune boxwoods before April 15th. 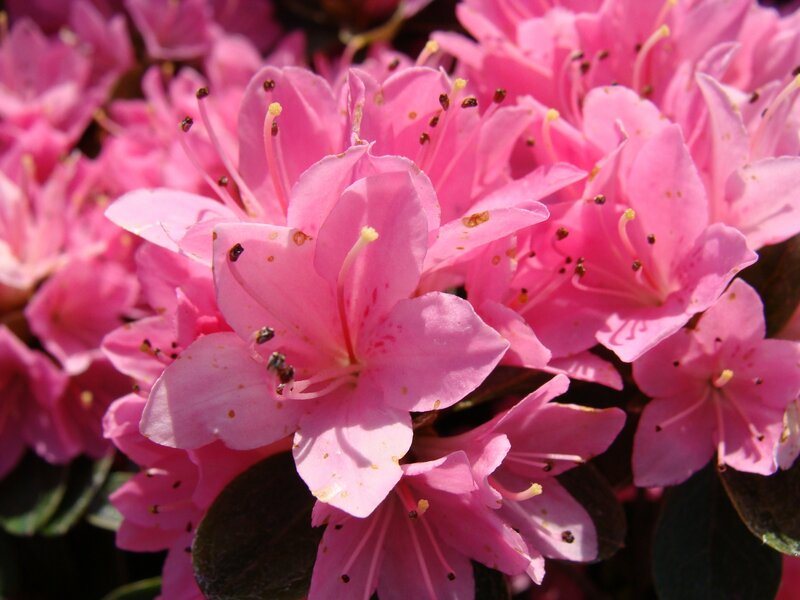 • Prune spring flowering ornamentals after they finish blooming. • Evergreens may be sheared and shaped. • Apply imidacloprid borer control to susceptible trees (ash, birch, dogwood, maple, etc.) or trees with a history of borer problems. • Destroy or prune off webs of eastern tent caterpillars. Control with “B.T.,” Dipel, spinosad, permethrin or malathion. • At the first sign of flower buds opening, begin spraying for fire-blight susceptible apples and pears using an agricultural streptomycin. Repeat two or three times as blossoms unfold. • Remove tree wraps from trees the first of the month.